“I don’t think black hair has ever been seen like this in a blockbuster movie — at least not by me.” Patrice Williams, writer for Hello Giggles. Can you hear the summer wedding bells? We can, and we’ve got your hair covered. Whether you’re the bride or the guest, you’ll be proudly The Black Panther fever is on. People are calling Wakanda the African version of Hogwarts. There have been memes and videos, all in celebration of culture and superheroes. We’re in love with everything to do with the movie, especially the hair and outfits. Here are five hairstyles from the movie and Hollywood premiere that we think you should try. The look we’d give a standing ovation to is the ‘Wakanda Knot’. 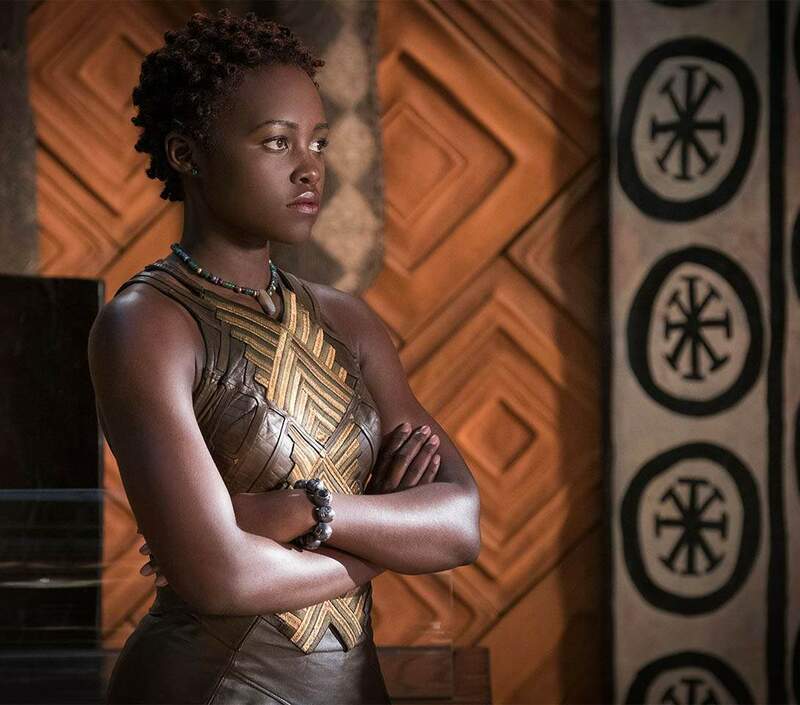 T’Challa’s love interest Nakia, played by the beautiful Lupita Nyong’o, wore this hairstyle that can easily be achieved off screen. It’s an interesting take on our beloved bantu knots. The difference with the Wakanda knot is that the knots protrude less from the hair and look more like a textured afro. This top knot, accessorised with a single braid, is a look fit for a princess. 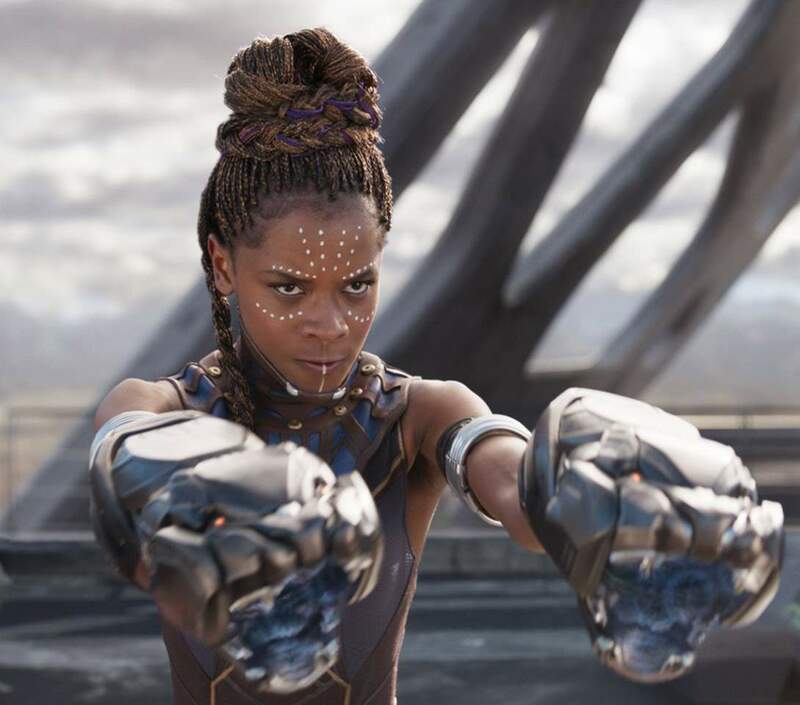 Shuri, played by Letitia Wright, spent hours getting her hair dyed and her braids weaved in, but it was undeniably worth the wait. It’s clear that those blasters aren’t the only thing slaying. Shuri’s tribal makeup was the perfect finishing touch to a regal beauty. This look may require some prep time, but none can argue that this half-moon braid isn’t anything short of super. 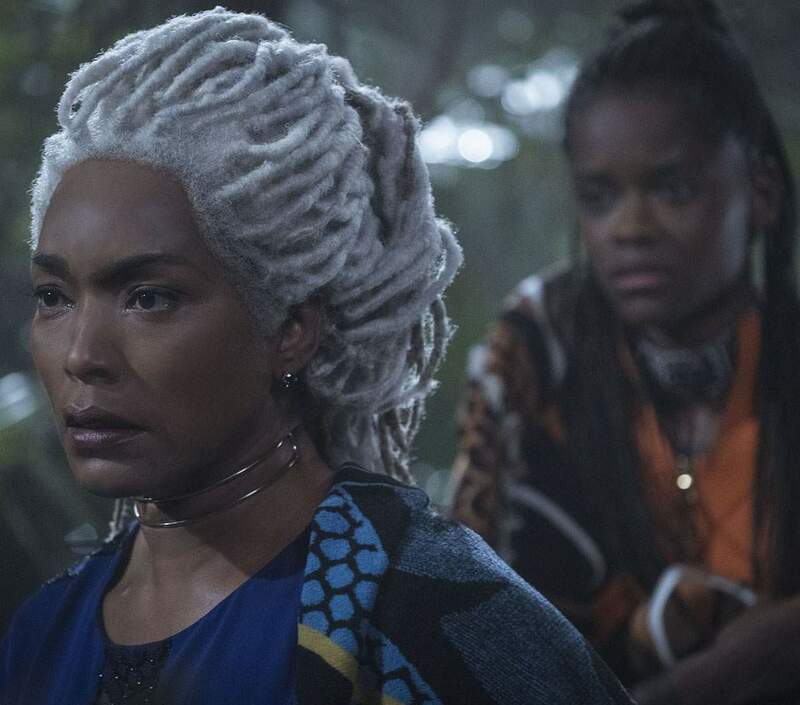 Queen Ramonda, played by the stunning Angela Bassett, is queening in white faux locks. Underneath her traditional headdress, Queen Ramonda wore a wig so intricate and perfect it took a month to make. Obviously, all good things take time. Her striking white faux locks were quite the reveal in the movie and caused a huge buzz. This queen definitely knows how to rule with style. 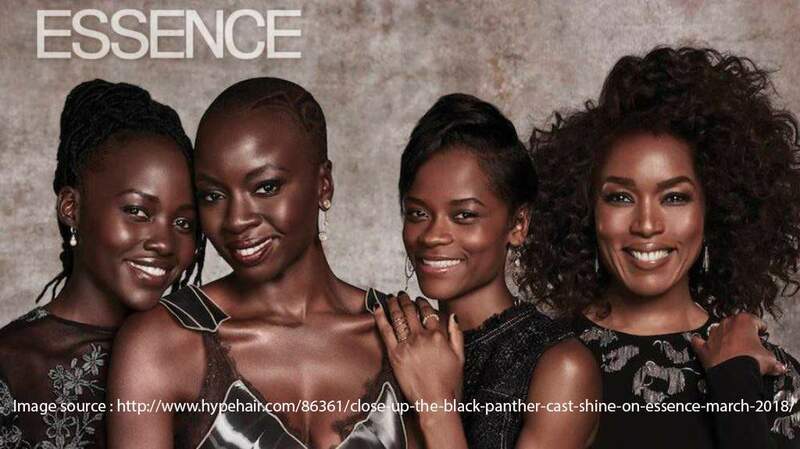 What we love about the Wakandan women is how they stayed stylish even off-screen. The hairstyles and ensembles worn by the cast during the movie’s premiere were just as beautiful as their looks in the movie. 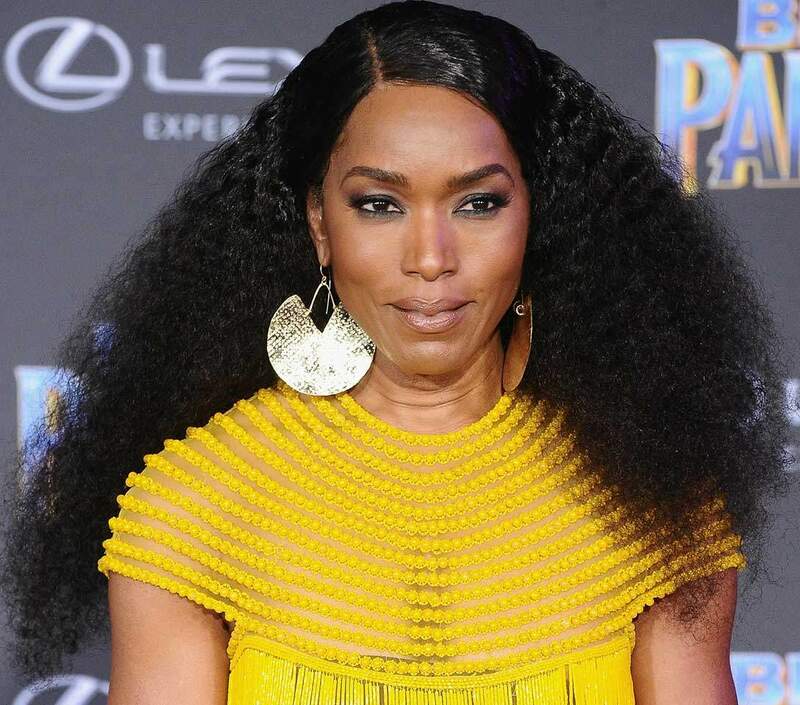 Angela Bassett wore this majestic outfit to the Hollywood premiere of the movie. She glows like the African sun in her radiant evening gown and for one night only she set her coils free. Another look we can’t get enough of at the premieres belongs to Letitia Wright. She was breath-taking in a black and champagne dress. Letitia’s hair had curls in all the right places and they finished off her elegant look perfectly. To see more trending hairstyles, go to our website.